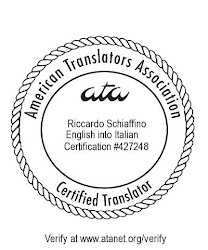 I’m writing to you as you are the best advocate for translators at SDL. We have heard that Studio 2014 will adopt a ribbon interface. If there is still time (and there is, since the program is still in beta) I urge you, and all at SDL, to reconsider this decision. The ribbon interface in MS Office has been a disaster, in the opinion of most power users – we’ve had to spend unnecessary long hours to find out where all familiar commands had been hidden away. In MS Office, at least, third party developers have been able to return something similar to the familiar menu as an add-on to the program. Since, however, SDL has a much smaller market, I doubt that there will be any similar solution available to us. I therefore urge you, and SDL, to concentrate your efforts not on an unnecessary, unwanted and harmful novelty like a ribbon interface, but rather on spending development resources on actual improvements to the program – you could, for example, finally start to do something to improve the serious defects still present in your fuzzy-matching algorithms, or perhaps work on the broken auto-propagation feature. I'm a big fan of the ribbon interface idea and actally it's adopted not only in MS Office but also in many, many other software like AutoCad, AuthorIT, Madcap Flare or Déjà Vu - just to name a few very popular ones, beside the adoption throughout the whole windows system itself. There's a reason why so many software companies have adopted this idea for their UX. It's an excellent way to present complex feature offers in a structured and organized system. In fact Microsoft studies based on real world user data prove that new as well as old shool users find what they want faster and more intuitive. I know a couple of people who hated the ribbon when it we introduced in MS Office years ago. But when they have to work in Word 2003 again for a specific project, they are usually surpirised how bad the old toolbar system actually was compared with the ribbon. Personally I think it's not an error to introduce the ribbon now, but a long overdue step. The only error SDL did here was not to introduce it right from the beginning in Studio 2009. I agree that if they wanted to introduce the ribbon, the time to do it should have been with Studio 2009: with a completely new tool, a new interface would have been OK, especially if (as you say) it makes work more efficient. I kind of doubt the studies that say that the MS Office ribbon is actually making work faster and more intuitive - maybe so for new users, but I doubt it for us old ones, who had the menu system already ingrained in our muscle memory. Deja Vu (X2) using ribbon? I use it everyday and never seen a ribbon in DVX. Can you share an image/link please. After more than three years of having the beribboned MS Office interface on my working computer I still cannot find basic functions I used every day or navigate to important configuration dialogs consistently. The only thing that keep me going with that damned mess is that I installed the Swiss utility for adding the Office 2003 menus to Office 2010. Now SDL is sliding down that same slippery slope into the swamp? Thank God I hardly use Trados for anything. I've often considered upgrading my license out of pure curiosity or to make a few tutorials for technology sufferers, but then something like this gets introduced and I realize I have better things to do. To be fair, I think that SDL Studio is a pretty good tool: far from perfect (I wish they improved their fuzzy-matching algorithms, for one), but with some really nice features (the use of regular expressions in the filter, for example). What I hear from the Studio 2014 beta testers, however, is not encouraging: they seem to have broken the auto-propagation feature, for example, and, instead of concentrating on that, and on features of real use to translators, they want to make it "simpler" and "easier to use". My suggestion to SDL to make their program easier to use: bundle a copy of Mats Linder excellent manual with your program, and hire him to also write a manual for MultiTerm. *That* would make your program easier for new users. Not a stupid ribbon. @Selcuk: Sorry, mixed Déjà Vu with Star in my post. Sorry for the confusion. My main complaint about the ribbon is ergonomical. In an age of wide-format screens with limited screen height, I can't imagine why anyone in their right mind should want to carve away the top third of the screen for an airy-fairy ribbon instead of a decent menu bar, giving me a ridiculous horizontal sliver of screen space to work in. Top third? To be fair, on my 22" desktop screen the ribbon in Word 2007 takes up just under a quarter of the height, but I'm sure it is well over a third of the height on my 10" netbook. Do the people who designed the Microsoft ribbon ever do any WORK with the dratted thing? Usability is debatable. I prefer the usability in the old menu bar as in Word 2000/2003, and I always use Word 2007 and 2010 with the Ubit menu utility which simulates the old menu structure. But the real killer for me is the horrible waste of vertical screen space. I won't be affected if SDL uses the ribbon, because I only work with DVX2, and like Selcuk I have never seen a ribbon in it, so I'm not sure what Stefan is referring to. Completely agree as regards the waste of screen real estate. Just to chime in from a product management perspective (I'm the product management director for Studio) why we are adding a ribbon and to clarify some of the details. Paul will also comment when back from his holidays. - One (but by far not the only one) of the main reasons we are adding ribbons is that users often don't find commands easily. For example, I have seen quite a few files where segments had not been confirmed at all and so the users were wondering why the translations were not in the translation memory... They simply did not find the tiny Confirm icon on the toolbar, nor in the Translation menu! By adding this as a big button to the Editor view there's a good chance that such errors will be avoided more easily. You as power users probably cannot care less - as you just press Ctrl+Enter and that's it for you. A similar phenomenon is the hidden Project Settings command - users don't see the command in the Project menu and then make settings changes using Tools - Options - which only affect the default project template but not the current project. Again, by adding a large Project Settings icon to the Project ribbon this should help avoid such issues. In summary, ribbons give us the chance to make frequently used commands large and less frequent small, and that should ultimately help all users. - Also we can nicely group commands which are now often mixed on toolbars and menus – for instance a Review ribbon that has Tracked Changes + commenting functionality on it, vs. translation related commands on a different ribbon. - As a power user you can minimise the ribbon – this will actually give you more space than working with the toolbars and menus now. When hidden they only come back when you click on them or press an access key. This is quite useful and much less clunky than hiding or showing toolbars. - While I'm on the topic of toolbars ... those have a tendency to move around more or less randomly as it's too easy to move them – this is gone with the ribbon – and this makes the user interface look much "calmer" as toolbars no longer need to be shown or hidden based on where you are in the user interface. - Keyboard support will be there too – you can use previously defined keyboard shortcuts as well as access buttons with keyboard shortcuts. I would actually say that I'm a Studio power user myself - I am not so much doing translation work day in day out anymore (though I am a translator by profession). Rather I always try to use Studio during alpha/beta as much as possible (e.g. by translating the Studio UI into German) so that I stay as closely in touch with the product as possible - this is obviously key in my role as product manager. When I first saw the ribbon prototype I was sold on this right away as I can see that users are struggling with all the small icons on the various toolbars and not finding commands easily. With the ribbon we have a good opportunity to address this while also ensuring that power users will not have to re-learn the product. I.e. we are trying to accommodate both power users and new users. This is not always easy - as this blog shows :) - but I believe this will work out in the end, also because we can learn from Microsoft and hopefully avoid certain mistakes that they made in some of their attempts. Thank you very much for the detailed and thoughtful explanation. I imagine that for new users the ribbon could indeed prove useful - and I imagine that will be true of those users that could not find commands in the current menus or toolbars. I still think that for power users this could be a step back: we'll have to get accustomed anew to where all the commands are (at least for those commands for which we are not accustomed to use a keyboard shortcut), and that will take time. I have to say I have yet to get accustomed to the MS Office ribbon: yes, they did improve it in 2010 v. the original release in Office 2007... but I'm still relying heavily on the UBit menu. Would it be possible to release something like the UBit menu, for those of us more accustomed to menus than to ribbons? Perhaps it could be offered as free option in Open Exchange. I'm not sure how you implemented the ribbon in Studio 2014 because we have not seen it yet, but if it is highly icon-based, the issue might be that icons are a lot more difficult to read/glance than text. Regular tool bars are also affected by this fact - their buttons are equally difficult to read in all languages. They very often bring some color to the application but not really usability. As mentioned before, the ribbon has the risk of becoming a huge screen real estate tax to not really increase productivity or ease of use for the average translator unless the icons on it are very few and very readable. But again, once it is released we'll see first hand if it is an improvement or an enworsement. I think Daniel made some interesting points. He mentioned today in the introductory webinar that Studio is one of those programs where most users only scratch the surface of its potential, and there certainly seems to be a major concern this time round to provide more accessible learning tools for the program. I certainly think that for large periods of time translating you are... translating and not using many advanced functions, when you can just turn the ribbon off. As well as Trados, I do a lot of translating with Wordfast Classic in Word and I tend to have the ribbon turned off with the Quick Access Toolbar showing most of the key functions (most of which to be honest I know the keystrokes for). (i) Most students (even young undergraduates very at ease with technology) do not know you can turn the Office ribbon off by clicking Home (or another Header) twice to turn it off, once to temporarily turn it on and twice to permanently do so. It's a bit like the Tao Te Ching - "the essence of the cup is the nothingness therein" - the main advantage of the ribbon is indeed its absence! (ii) toolbars in Trados are either hidden or do indeed wander around the screen so the advantage of having a "calmer" user interface, especially for (self)training, should not be underestimated (I won't have to run around the computer room playing "hunt the lozenges" any more when explaining tags!). Perhaps the very first button/function I teach once Studio opens will no longer have to be "Reset Window Layout". Learning Trados well involves the understanding of a number of key concepts and how clearly you implement them or not (what is counterintuitive - if you have used Office for example the B is the "light switch" for turning Bold On or Off. Seeing Bold (On) and Bold (Off) might be confusing. Even harder to understand is the possibility of clicking Bold (On) and then Bold (Off) and understanding there might be a (tagged) paper trail of your clicks in the form of tags. Project - Package - Document seems a clear top-down hierarchy so I never really understood why 2011 had a left to right implementation of Document Project Package. In conclusion, IMHO putting these in the right order are the little but important things that help the concepts to become more intutive and are far more important that having, or not having, a ribbon. Project - Package - Document seems a clear top-down hierarchy so I never really understood why the Home View in Studio 2011 has a left to right implementation of Document then Project then Package. IMHO getting these in the right order are the little but important things that help a program and its concepts become more intuitive and are far more important that having, or not having, a ribbon. I think Daniel summed it up nicely so I'll only add this. I think there is a bit of a difference between MSWord and Studio when you consider the range of functions and features, and I think getting used to the MS Word ribbon (and Excel as well for that matter) took many users quite a while (myself included) because the change to what they were used to was so different and the route to many well hidden, but often used commands, were well trodden. I think the change in Studio will be less drastic, and really will make it easier to find the toolbar commands you need for specific groups of functions. I think for most power users the commands they don't use shortcuts for are more likely to be nested in menu structures and any work done to bring these to the front in a ribbon style toolbar has to be better. I do know a few users who like to count clicks so they may be disappointed to see how few they need in the future for some of the processes... but for most users reducing clicks is a good thing. These days I have eventually got used to the ribbon in Word and Excel and intuitively go to the right places most of the time. So I think, only a few years in and with many new things that would not have been in the earlier releases anyway, this is as good a time as any to make the change. Hopefully once you do get your hands on it you'll be pleasantly surprised. The important thing to do is embrace it and look at the changes positively. It's very much like moving from Trados 2007 to Studio in many ways... if you don't keep thinking about Trados 2007 the change is far easier and eventually you realise Studio is a much superior tool. Certainly I prefer the ribbon approach myself now and don't like using older pieces of software as I've already forgotten where things are! But we'll know what everyone else thinks soon enough! My recent experience with screwy font display defaults in Trados Studio and the non-obvious remedy for these is leading me to think that Paul and Daniel might be right about the potential benefit of exposing certain functions better on a well-organized ribbon. So I'll wait and see, but their arguments are sound and worth a trial. But THE RIBBON is a crap! Secondly - you can not customize the Quick Access Toolbar, which is a joke. Because the customization of the QAT is the bigges benefit of the stupid ribbon solution. For example: in S2011 I often use filters and can display the filter menu on the main screen. In S2014 you don´t find the filter menu in the general menu, if you need a filter, you have to switch to the Check menu (sorry if it is not correct - Überprüfung in German) and there you find the filter. And then again, you have to switch back to the Start menu. That is a joke! Shall the translator make a Marathon race with the mouse or watch the still changing key shortcuts in the ribbon??? That is really, really uncomfortable and a step back! I just recently tried 2014 as well (I am a big fan of Trados in general and have used numerous previous versions). My main objection against the reasoning about the ribbon above is that the ribbon is compared to the toolbars. The ribbon corresponds to the _menus_ in the old system, not the toolbars. The toolbar (or if it's called the quick access bar or something) is still there in 2014, and unfortunately it only contains Save, Redo, Undo and Preview and cannot be customized. (I would really like to hear what the reasoning behind including exactly those commands was...) Now, the big advantage with the ribbon in the Office suite is that you can customize your own toolbar and include the commands that you most often click on (as opposed to use a keyboard shortcut for). You can add anything, including macros, brilliant. So the toolbar implementation is big step back in 2014. If you compare the overview that you get in a menu with that of a ribbon, the menu is superior in every way. You see all commands quickly at a glance, together with the keyboard shortcuts for them (which are oh so important for translators). In the ribbon you have to hover over all commands to see the shortcut, and for some commands even to see what the command is called. This requires a lot of mouse action over large portions of your screen. I also think that moving your eyes vertically down a list that is formatted the same way all the way is easier than moving them horizontally _and_ vertically (within groups) between icons that differ in size (not mentioning all the line breaks in the command names, which means you are not really sure where one command ends and another begins). I haven't done any research on that, but it seems highly, highly likely to me. only make such a mistake once and then have to learn how the software works anyway. It is not about if the command is easy or hard to find in the menus. And if you are looking for a certain function, the overview is better in menus than symbols in a ribbon (which you have to hover over to see descriptions of), as I mentioned above. The learning curve might be steeper with menus, but Trados is software that you invest time in learning, and will use for a long time when you have learnt it. It's not about finding a command quickly once. The same goes for Tools - Options vs Project Settings, you simply have to learn. Another thing is that the keyboard shortcuts for the ribbon conflicts with some functions, most notably Alt G in the spell checker dialogue (which opens some ribbon menu instead of ignoring the entry in the spell checker), which means you have to spell check with the mouse, and not the keyboard (or start altering the shortcuts for the spell checking dialogue). I stumbled upon another such conflict, but I don't remember what it is now. Another counterargument about the interface jumping around. In 2011 you can deactivate all toolbars, hence no jumping around at all. When clicking the filter icon in the status bar in 2014 the interface is really blipping around a lot, since the Review tab is opened, where the filter function, which is extremely useful in Trados, has been hidden away (logic anyone?). The File tab opens an entire new page instead of a ribbon (same as in the Office suite), which means you can't see what you are working on while having that menu open. The menus all looked the same, the ribbons have differently sized icons all over the place. For me, personally, the interface in 2011 is a lot calmer than 2014. Unfortunately I have to agree that the implementation of the ribbon, in its current state, is a step back in usability. If the toolbar would be customizable it would help, so I am crossing my fingers.